[Raul Castro] Comrades, the resolution approved by this Assembly in support of our five compatriots who are enduring unfair imprisonment in US prisons is another modest step in the fight for their freedom, in which we will not waver with the growing support of those who in believe in justice in this world until their return. To Gerardo, Antonio, Ramon, Fernando, and Rene we send a warm hug from the Cuban National Assembly [applause]. Exactly one year ago, as we were listening to the speeches given by the Commander in Chief in Bayamo and Holguín, we could hardly even suspect what a hard blow was awaiting us. Next July 31 will be the first anniversary of Fidel's Proclamation, and to the delight of our people he is already taking on more and more intense and highly valuable activities, as evidenced by his reflections which are published in the press, even though, not even during the most serious moments of his illness, did he fail to bring his wisdom and experience to each problem and essential decision. Speech by the Second Secretary of the Central Committee of the Party, First Vice-President of the Councils of State and Ministers, Minister of the Revolutionary Armed Forces, Army General, Raúl Castro Ruz, at the Political Ceremony, Military Review and March of the Combatant People in Commemoration of the 50th Anniversary of the Landing of the Granma Yacht and the Day of the Revolutionary Armed Forces, and in Celebration of the 80th Birthday of the Commander-in-Chief, Fidel Castro Ruz "
We welcome good friends of the Cuban Revolution who have offered their essential support and solidarity over these last 50 years of prolonged battle for sovereignty and freedom. Among them I would like to mention the Guayasamín Foundation and the relatives of this great Ecuadorian friend and painter, who conceived this noble gesture of paying homage to comrade Fidel on his 80th birthday, an occasion which has brought to Havana Heads of State or Government, as well as other dignitaries and senior personalities from the political and cultural scenes of various countries. On behalf of our people we thank them for honoring us with their presence at this forum. 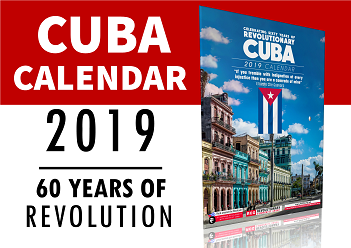 As comrade Fidel alerted us in his fundamental Reflection of last January 14th, the people’s mandate to this legislature is very clear: to continue strengthening the Revolution at a historical juncture which demands from us to be dialectic and creative. The composition of the State Council, which has just been elected by this Assembly, raised much expectation both in Cuba and abroad. The most significant was clarified by comrade Fidel in his Message of February 18th. There is very little that I can add to what he said except to express to our people, on behalf of the Revolution’s Leadership, our appreciation for the innumerable expressions of serenity, maturity, self-assurance, and the combination of genuine sadness and revolutionary determination. 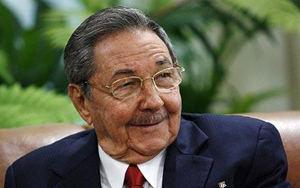 Speech by Second Secretary of the Central Committee of the Party and Minister of the Army General Raúl Castro, during the event marking the 45th anniversary of the founding of the Western Army in San José de las Lajas, Habana province. June 14, 2006, Year of the Energy Revolution in Cuba. FORTY-FIVE years after 1961, that decisive year for the Revolution, we can feel the double satisfaction of still having with us the Commander in Chief of always, and of having acted in accordance with the principle summed up by this affirmation of his: "We shall not drop our guard for a single minute. We shall not rest for one minute in the work of organizing the defense."